I was born to freedom. It was the only reality I knew. I was sure that was how everyone lived. I learned fear at the age of 4. When we, as a family of a Soviet diplomat, moved from Norway to Moscow. The chaotic and intense Moscow frightened me. What a contrast with the orderly, hospitable, and much smaller Oslo! Apprehensive and gloomy people, just five years after the end of World War II. The scarcity of the most common necessities—bread, milk, sugar, salt, potatoes, rice, fruits, and vegetables. I could not any longer walk freely on the streets—my parents never let my hand go. I could not leave anything outside our room—it would be stolen. I demanded we go home. My parents never managed to legitimately prove to me that we had come home. I started to stutter and then stopped talking altogether. In six months when I did begin to talk again, I could speak only Russian, but not my native Norwegian. I began the learning process of an elaborate system by which the Soviet totalitarian regime installed fear into the souls and bodies of its vassals. Our communal apartment felt like a prison, where my younger brother and I could not talk in full voice, or play in full view. Our parents were afraid that we would say or do something that could be construed as the reflection of their critical opinion of the communist order. I felt restrained and suffocated, as if I was wearing clothes several sizes smaller than I needed. The same feeling I had in a day care center, where I was exposed for the first time to all those rules and regulations that limited my freedom in any possible way. It also was my first initiation into conformism and propaganda, although I did not know those terms at that time. But it was the hidden, subtle ways that truly injected fear into my displaced and wounded emotional and mental bodies. My sensitive inner self immediately picked up on my parents’ fear and discomfort. They abruptly stopped speaking Norwegian, German, or English in fear of being misinterpreted and informed on by their neighbors, colleagues, and fellow citizens. During a May Day parade and demonstration that we all watched from a sidewalk, I exclaimed, “Hip hip hurrah!,” as I had in Oslo, instead of the Russian “Ura(h).” My mother shushed me so forcefully that I could not make myself talk the entire day. I remember she cried that evening while talking to my father. Government-imposed bans and limitations permeated even the most trivial aspects of life. If your life’s purpose was some kind of progress, you could not help but violate those rules. You would always feel guilty and fearful of the retribution of an omnipresent and omnipotent authority. This fear kills your personal willpower and bravery and wastes away your critical mind and sense of self-worth. Only collective bravery and group dependence are left. As a child, you first resist and then adapt. I adapted, but I never resigned to that fear, anxiety, and panic. I never lost my critical mind. A stranger, I never fitted in. As a thinking adult, I began to question the established order and eventually resist it again. I went beyond that order by turning my sight into my inner world, investigating all available spiritual practices. We all there lived with a constant risk of inevitable exposure. The risk that created both fear and courage. A very specific type of courage—the courage of an inner dissident. It is not easy for those who have never experienced life under a totalitarian regime to understand that people can be cowardly and courageous at the same time, and that many courageous actions took place in private. This dichotomy was the way of life and survival. Nobody was an open dissident during the Kafkaesque time of Stalinism. If they say otherwise, they are either lying or dead. Very few were during the Brezhnev era. Yet, practically anyone who had retained their power of observation and critical mind was an inner dissident to a larger or smaller degree. Most of them were “invisible” people, whose courage was simply knowing and dreaming about the eventual end of the dictatorship’s nightmare, or just keeping alive that power of critical mind. Even if they had done actually nothing to destroy the regime, they would consider themselves inner dissidents. Only some of those inner dissidents were disturbing for the government. They usually were great thinkers, scientists, writers, and artists of the era, such as Pasternak and Shostakovich. Neither was an open dissident. But they both projected a humanistic philosophy and recurrent faith in the creative miracle of life itself, reaching beyond political matters to universal human values in their works. And both survived Stalin’s repressions by accident. But an inner dissident is, by definition, a hypocrite. He has an army of external lies and deceptions at his disposal. He has to be a sycophant, a briber, a flatterer. He has to ingratiate himself to all those who are above him on the pecking order and who use their power for material enrichment or emotional satisfaction of feeling their superiority. The more fraudulent that superiority is, the more sycophantic proof its holders demand from their subordinates. For them, it is both a survival technique and entertainment. For the rest, it is a balancing act between fear and bravery—the act that can destroy your psyche and body. Contrary to a popular belief, constant exposure to fear does not immunize you against it. No matter how much you progressed in a spiritual direction, you still have to live and work in your physical manifestation of that moment. In this aspect, I had never managed to get rid of the feelings of fear, dis-liberty, dis-independence, dis-comfort and dis-ease. I just did not want to waste my life on fighting that system of fear any more. I had to get out. I had to be born to freedom again. “To Freedom” is an excerpt from “Between Two Halves of a Journey,” Prokhorov’s unpublished memoir. Vadim Prokhorov is a writer, artist, and composer as well as a concert pianist and choral director. He is an author of Russian Folk Songs: Musical Genres and History (Scarecrow Press, 2001) and author and illustrator of Little Red Riding Hood (to be published next year). 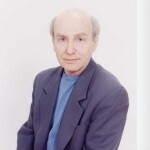 He has written numerous articles on classical music for the Encyclopedia Americana, for which he served as associate editor. He has contributed cover and feature articles to The Guardian (London), Parade Magazine, Air&Space/Smithsonian, The Moscow Times, and Gramophone Online Magazine, among others. He was a features writer and classical music critic for various daily and weekly newspapers in Connecticut, where he lived before moving to New York. As an artist, he had numerous solo and group exhibitions. He recent solo exhibition, “Visual Music,” was in November 2008 at the Brooklyn Conservatory of Music. His paintings sold to private collectors in New York, Washington, D.C., and Connecticut. His choral compositions and arrangements of Russian vocal compositions and folk songs have been published by Oxford University Press, Hal Leonard, EC Schirmer, and Musica Russica. He is a member of the Authors Guild and the American Society of Composers, Authors and Publishers (ASCAP). He has given lectures on Russian music at Yale, Princeton, Columbia, Brown, Wesleyan, and Boston Universities, among others. This entry was posted on Tuesday, April 13th, 2010 at 5:43 pm	and is filed under Essays. You can follow any responses to this entry through the RSS 2.0 feed.